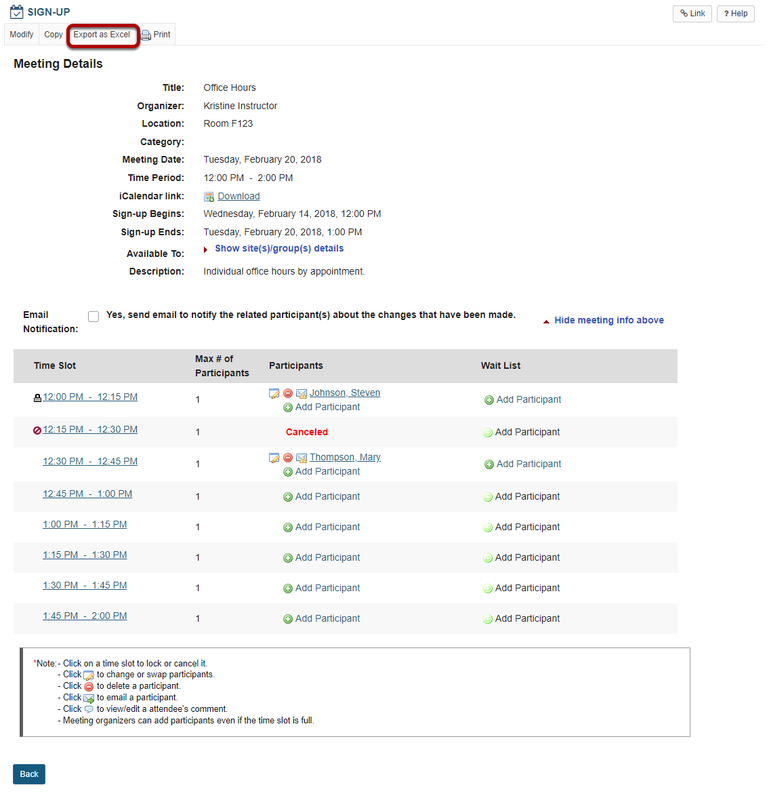 Sakai Community DocumentationSakai 19 User Guide (English) Sign-UpHow do I export meeting data? Zoom: Click Export as Excel. 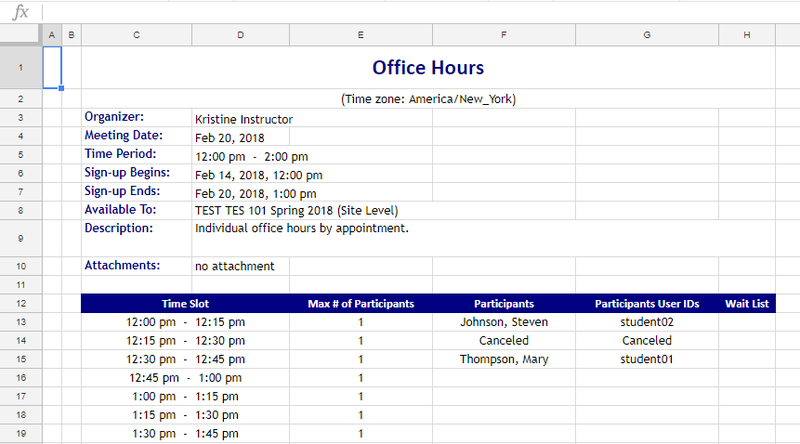 Zoom: View information in Excel. Zoom: Select the meetings desired, and click Export as Excel. Zoom: View All Meetings I Am Signed Up For. Prev: How do students or participants sign-up for meetings? Next: How can I use the Sign-Up tool in my site?